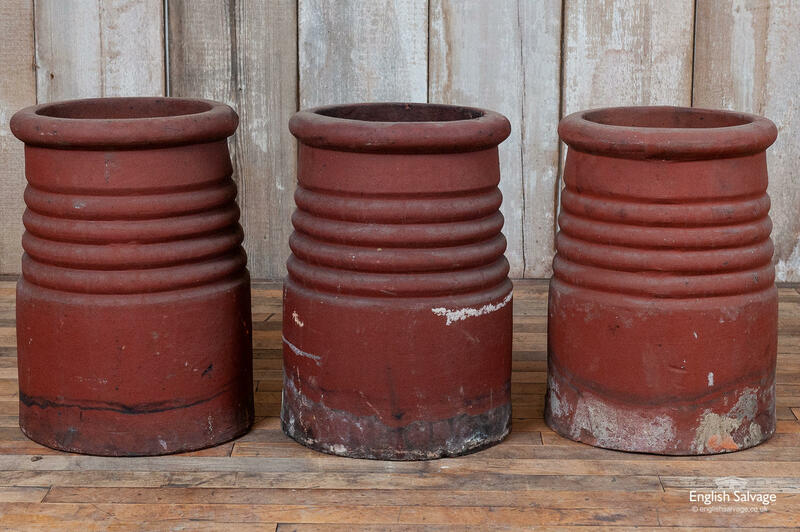 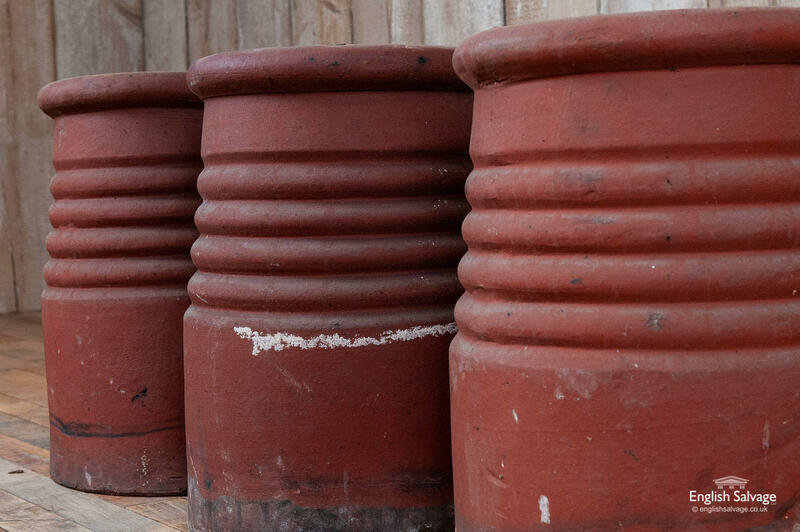 Four charming antique terracotta ribbed chimney pots (one not shown in photos). 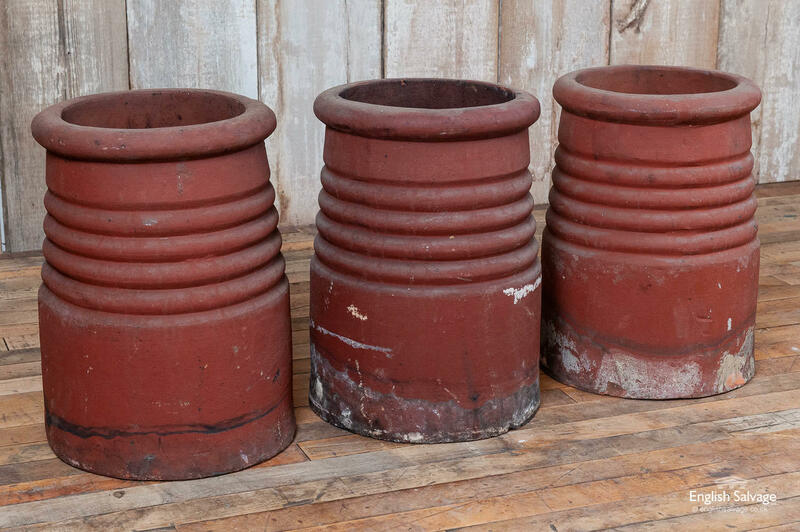 They appear to be good condition albeit with some age-related discolouration and weathering, particularly to the base - this only adds to their charm. 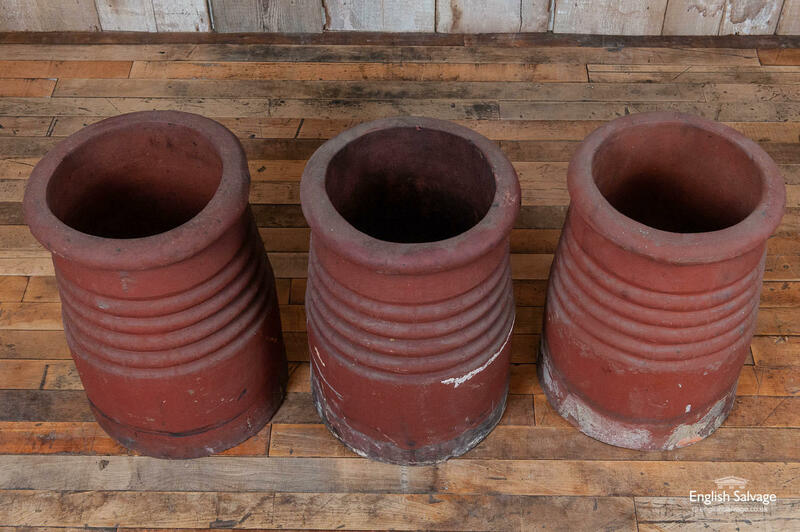 Overall dimensions are below and external width at top is 28cm wide.